A common conversation piece of CF. Our lifeblood. The bringer-together of friends, both business + personal. The fuel of brilliance + creativity. Of solutions. 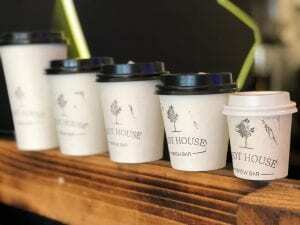 Cue our surprise + thrill to find Shot House Coffee at Mooloolaba. As we consulted our coffee oracle, BeanHunter, we found ourselves somewhat confused as to whether they were open + where they were, but being good coffee addicts we pushed through + tracked down this little wonder. + aren’t we glad we did. Nic is a coffee aficionado + an all-round great bloke. He opened the cafe to share his love of coffee. 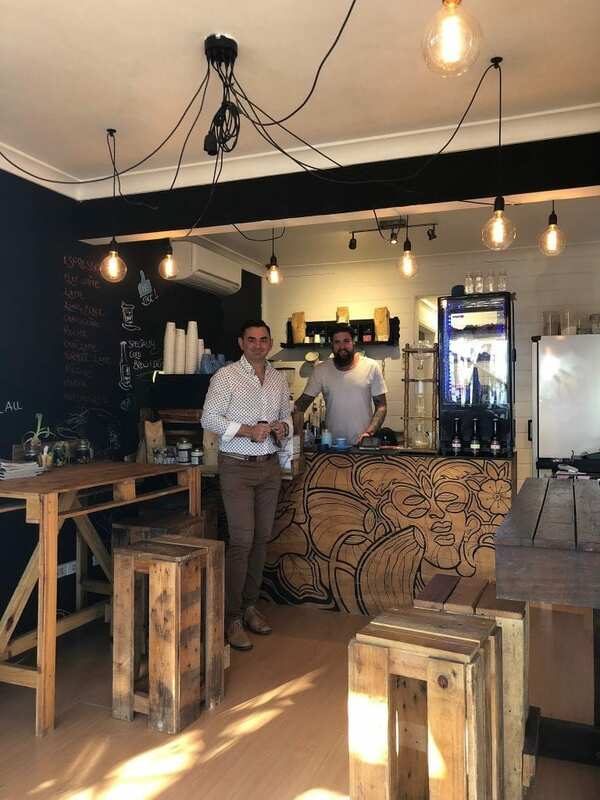 Just off the main strip at Mooloolaba, you have to go looking for Nic, but once you’ve found him, you’ll never get a coffee anywhere else again. Not only was the coffee delicious + made with love, but Nic went out of his way to answer our questions, make us feel at home + even gave us some samples of his wares. Above + beyond, anyone? Just wow. 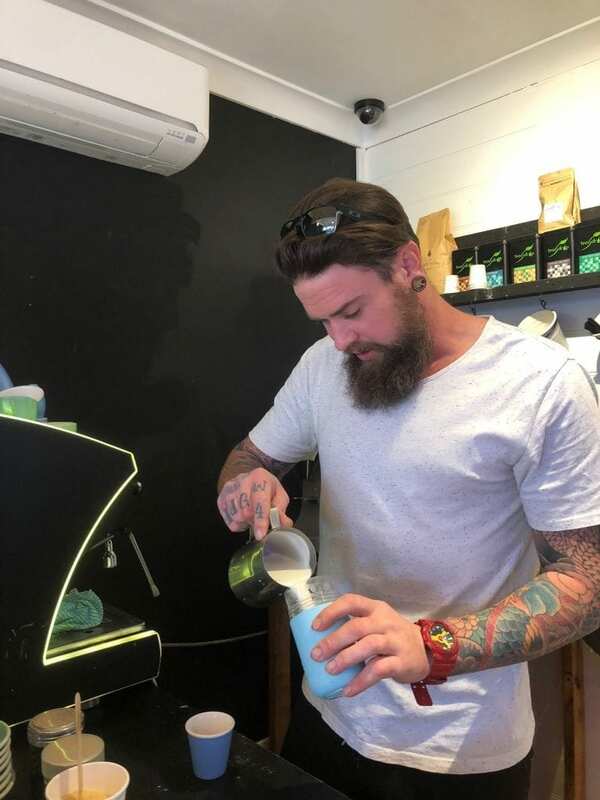 So, we asked Nic some questions about his customer ethos + how he balances his love of coffee with a care of customers. Even annoying ones. If We Were To Describe Your Business In One Sentence, What Would It Be? We are a specialty coffee shop that focuses on providing the best quality coffee + service to every customer. What Makes You Different From The Coffee Shops Around You? Why Would Customers Choose You? 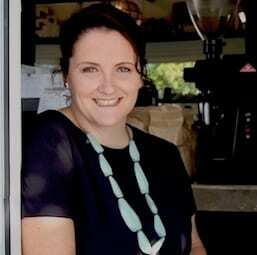 I have worked in the coffee industry for over 10 years so I have a lot of experience behind me! I worked my way up from the bottom, starting off by cleaning dishes in the back kitchen; however, soon I became interested in the product itself + this quickly turned into a passion! I have since worked across many fields in the industry from management positions through to commercial sales roles, so I’ve seen it from many sides + know how everything works. This is my first venture out on my own- I want it to be the best! I research everything I sell; from making sure my beans are ethically sourced to making sure I am happy with the taste. I have my own blend for the store that we worked very hard to make sure was the right fit. I love to play around with different brewing methods in store but was drawn to cold brew coffee + cold drip. I make my own specialty cold brew in store that we serve as milk based, black or our very own cold brew coconut water. It has been a massive hit + we even supply to other cafes in the area. I have my yama 8cup cold drip running every day. With all of the cold brewing methods I use a grade 1 single origin bean that changes each month. My focus is to give every customer the best product + service, I will never serve a coffee that I am not 100% happy with. My hope is that once people come in they will like what they have experienced + keep coming back! What’s Your View On Customers? Where Do They Sit In Your Business? Customers are the life blood of any business + making every customer feel a sense of belonging in the shop is very important to me. I think we are privileged in our line of work as we often get to hear about people’s lives, whether it be their problems or successes. In my store I am always an open ear + really enjoy getting to know my customers, both new + regulars- you never know what story you’re going to hear next! It adds a really fun element to the job + keeps it interesting. How Do You Handle Particularly Difficult Customers? I haven’t really had many difficult customer experiences but over time I’ve learnt that you have to engage with every customer differently. Some people are just there for a coffee + a chat, some people are more interested in the technical side of things. I see it as a personal challenge for me to try + ensure I meet their needs + it gives me a sense of accomplishment if I get positive feedback or return custom- I must be doing something right! I serve a great regular customer base every day at my shop, but have also had some fantastic interactions with non-local customers in the time I’ve been here. Probably one of the best has been knowing that you guys came in, had a coffee + a chat, + contacted me for an interview after- usually it’s the other way around! It was a lovely surprise because I had no idea who you were (or who you worked for!) at the time! But the interaction we had is why we are having this interview + that’s so important to me- I’ll take it as a win. I sometimes don’t get it quite right though- I strive to remember customers’ names along with their choice of coffee but sometimes I get them mixed up which can lead to a bit of a red faced moment! I always try + learn from these little mistakes though + am always trying to better myself + my customer service! Customers love when you can have their coffee ready for them before they’ve even walked into the shop! If You Were To Give Our Readers Advice On Launching A New Business, What Would It Be? Do your homework + make sure you have passion about what you’re doing! If you don’t enjoy what you’re doing you will never be able to keep the momentum it takes to start + maintain a business! Have a mentor – preferably someone senior in your sector, who you can trust + ask for advice- this has been essential for me + I regularly pester my mentor for help! Having another person who is able to look at the business from outside keeps you level headed + also looks at things from a more neutral angle to make sure you are making the right choices. Try + have good relationships with your suppliers + others who you work with – at the end of the day the relationship is mutually beneficial for both of you! Linked to this, try + support other local businesses too – my roasters are based just down the road, us little guys need to stick together! Customers + return business are, of course, the most important aspect though so try to make sure every customer leaves happy + feels welcome to come back. Thank you Nic for your time in sharing your customer care brilliance with us. See you again soon, absolutely no doubt. 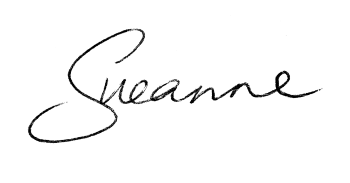 Sueanne is passionate about connecting businesses with the ultimate reason they exist: their customers. Her impressive reach has transformed market-leading brands such as lastminute.com, Terry White Chemmart, PPQ, AVIS, Travelocity, Hays Recruitment, Visit Sunshine Coast + Tourism Queensland.